Faced with a double burden of disease, Burundi’s government is grappling with how to address growing demand for health care. At the same time, the government is working to balance financial constraints, rising costs, and limited resources. Policymakers need access to the reliable data to make well-informed decisions to raise sufficient funds for the health sector, allocate them according to need, and manage the burden of health costs on households. Dr. Longin Gashubije, former Director General of Planning, MSPLS, presents the results of the 2012/2013 Health Accounts. which diseases or health conditions receive the most health spending. 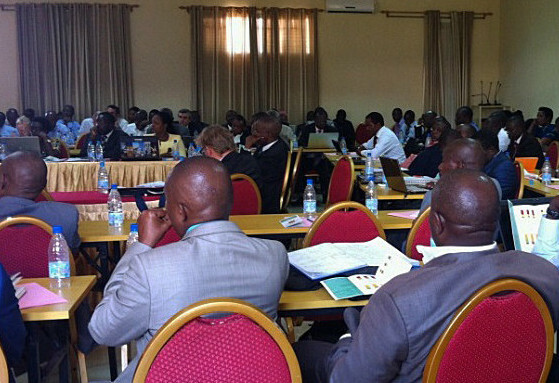 For more than a year, the Health Finance and Governance Project (HFG) has worked closely with Burundi’s Health Accounts team to build their capacity to use HA and the SHA 2011 framework. The team is housed in the Planning Unit of the Ministry of Health and Fight Against HIV/AIDS (MSPLS). As a result, MSPLS now has the expertise to produce HAs going forward with minimal external assistance. This spring, MSPLS completed a new round of Health Accounts (2012-2013) and presented the results at the Annual Health Sector Review. 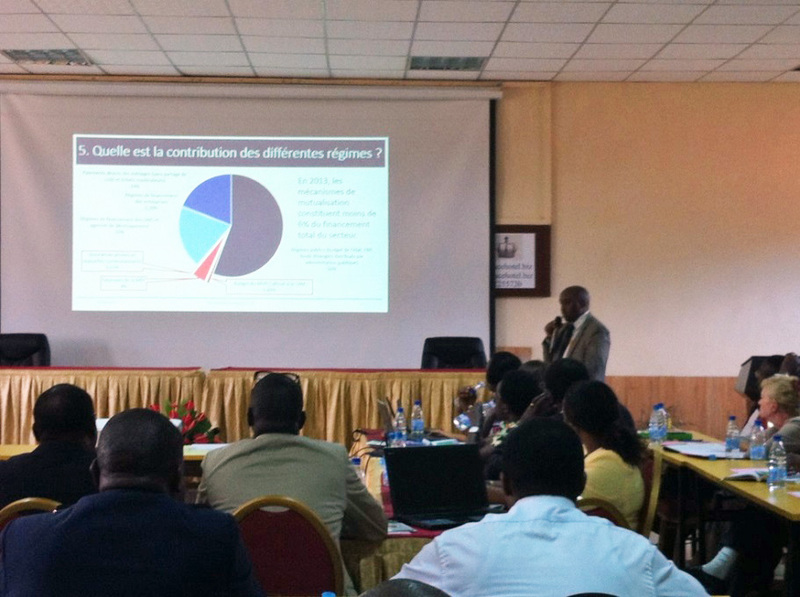 Over 100 participants, including Burundi’s Minister of Health, NGOs, and civil society organizations engaged in lively discussions about the results and their implications for Burundi’s health sector. 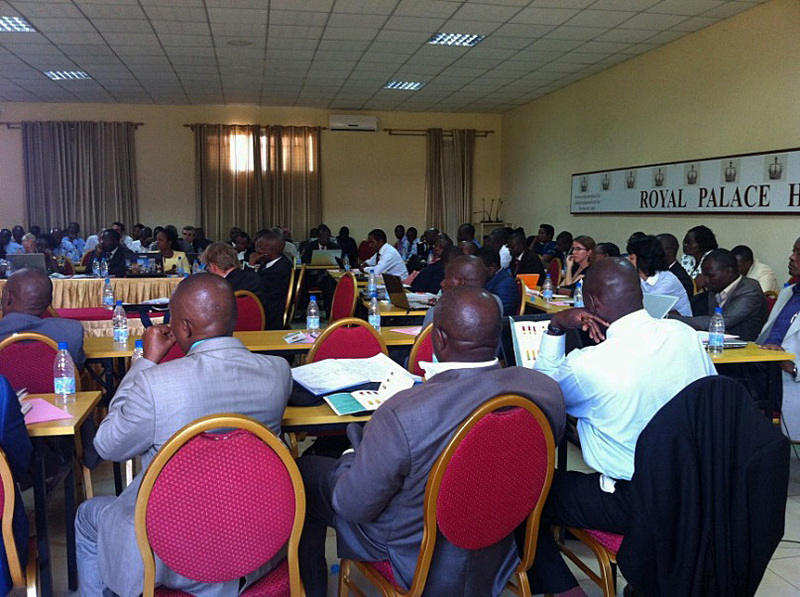 Participants at Burundi’s Annual Health Sector Review in April 2015 listen to the findings of the 2012 and 2013 Health Accounts. While the government has demonstrated its commitment to health by increasing contributions to health since 2007, the new data highlight several challenges. The Total Health Expenditure (THE) per capita is below the World Health Organization (WHO) norm of USD $44. Also, the percentage of the government budget allocated to health is lower than the 15 percent recommended by the 2001 Abuja Declaration. In addition, the percentage of THE financed out-of-pocket (OOP) is higher than WHO’s recommendation of 15-20 percent. According to the HA, the average household OOP spending was US$ 29 in 2013. A recent survey of agricultural workers showed that more than 80% of the rural population could not afford to pay more than US$16 per year. As a result of these findings, many participants called for greater reforms to ensure more affordable health care. 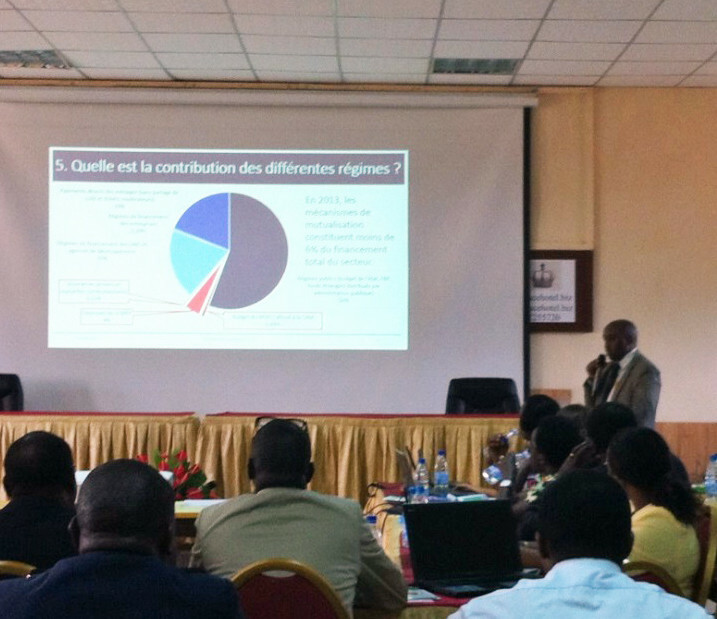 The new HA provide Burundi’s government with critical health spending information, and give policymakers much-needed evidence to ensure that the country’s upcoming Health Financing Strategy responds to the challenges highlighted by the data.